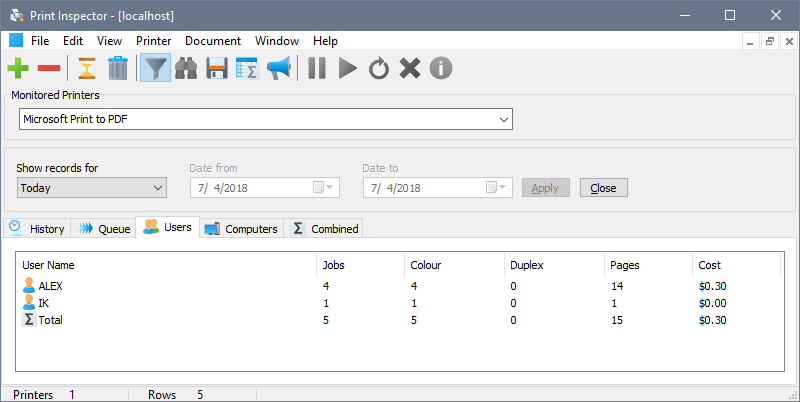 Print Inspector is designed to be used on print servers in small to medium organisations wherever there is a need for print management and auditing. 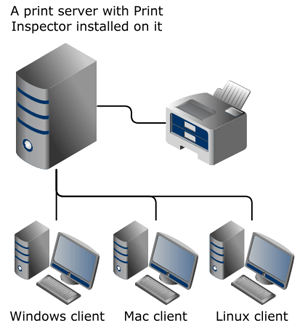 A typical installation diagram shows Print Inspector installed on a single print server in a small network so that any jobs submitted to the printer from client computers are monitored. 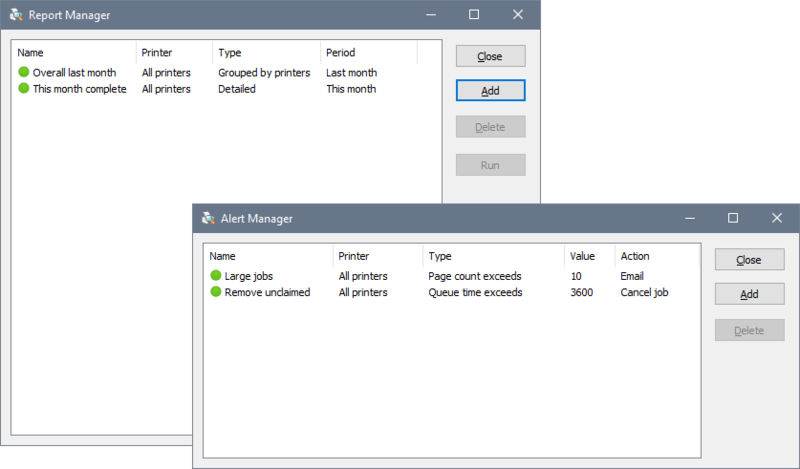 Print Inspector can monitor any local printers attached to the computer, which the monitoring service has been installed on. Detailed records are available on the History tab. The Queue tab shows current queue on the selected printer. Grouped usage data is shown on the Users tab.